Unitek College is bringing healthcare providers, educators and community partners together to build a better future for healthcare. At Unitek we are committed to instilling in our students the expertise and boldness necessary to thrive in an ever-changing, competitive world,” says Abdel Yosef, Chief Academic Officer at Unitek College. Healthcare providers, educators and suppliers are invited to collaborate on a better future for healthcare at the 2nd Annual Unitek Conference to be held on November 13, 2017 in Oakland, CA. Raising the bar on tomorrow’s healthcare requires the coordinated efforts of numerous contributors across the fields of education, technology, and healthcare. This includes college administrators, instructors, and students; IT and informatics professionals; clinical administrators and staff; and vendors of all types. In the spirit of pioneering this challenge, Unitek College encourages all interested stakeholders to attend this year’s Unitek Annual Conference: Building a Strong Partnership Between Academia and Healthcare. In addition, these topics and others will be further explored in breakout sessions, lunch and mingling opportunities. Because technology and informatics play an increasingly important role in healthcare and the process of collaboration, IT faculty and vendors will also be on hand to discuss the applications of technology to facilitate greater collaboration and partnership among academia and healthcare. Plan on attending this important event to share your thoughts and ideas with other dedicated healthcare and education professionals, and help identify our roles in achieving our common objectives. Unitek College is one of California’s leading healthcare and nursing colleges, offering a wide range of certificate and degree programs. Taught by current experts, Unitek programs teach the best-practice clinical technique and theory used in the field today. Equipped with a mastery of sought-after skills, Unitek College graduates are prepared to excel in many of the fastest-growing careers in healthcare and nursing. 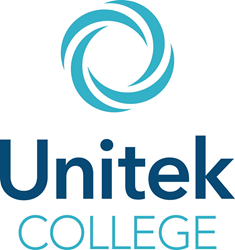 Unitek College also offers one of the most respected IT certification programs for computer and network support technicians.